It is an application that helps you keep track of the places you go. It helps you to know where you are in any city in the world without asking the name of the venue. With Swarm, you check in to remember every place you go. You'il blow your friends. You'il make them jealous. You can show them how ambitious you are to go there before they go. :) Joke helps you to be the king of the spaces. You will be the guardian of the idea that many are not reading much. A list of the places you visit where you go is held and helps you to remember. It is possible to add a note or a photo to the location of your check-in. So you remember easier. You can watch this on the map. This application that gives you fun tags as you discover restaurants, bars, museums. It's easy to make it easier for you to meet up with friends, or you can see your surprised friends near by the time you check in. This can be fun. • Meet your friends. Share the location by check-in and see your friends near. Coincidental check-ins can help you find friends when you're out and about. • An application that allows you to follow the adventures of your friends even if you don't have friends nearby. "Save the adventures that you live in, so that the questions in your history will be reduced and the good things to remember will increase." Maybe this sentence will be classic. If you're tired of Swarm, you can review the deletion link below and instructions. Know the time and value of time. Because you're precious. Click on the “Privacy Settings” tab in the right sidebar. You'll be taken to a page to confirm the deletion of your account. Note: There is no way to un-delete an account. 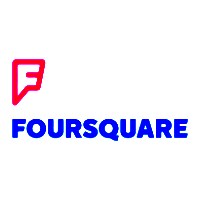 This will delete both your Foursquare City Guide and Foursquare Swarm accounts. That means that all of your tips, tastes, and check-ins will be lost.Also, just deleting the app will not delete your account. Remember, you can delete your Foursquare account Your Swarm account will also be deleted. Once your account has been deleted, all your data will be deleted once again. Be absolutely aware of this.